Writing is lonely work. Why not sometimes do it together? How it Works: We will briefly introduce ourselves and our projects/goals at the beginning of each session, and then work quietly side by side. All genres are welcome. 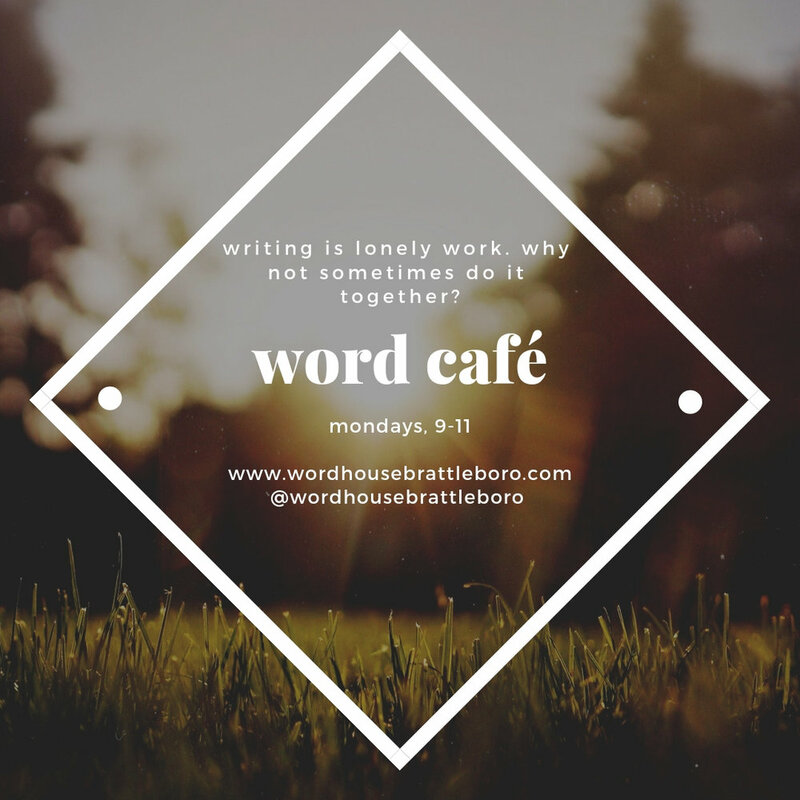 Writers are welcome to take quiet tea/coffee breaks (away from the writing table) to chat. This is a wonderful way to launch your creative week with focus, connect with other writers, and dedicate time to a new or ongoing writing project. It’s greening up out there. Let’s gather, and share our work with one another, and bring our projects (long-brewing or brand new) out of hibernation and into the light! This supportive, encouraging and semi-formal workshop is for writers of fiction, creative non-fiction and poetry. (Short stories, novels, essays, lyric essays, memoirs, poems, hybrid forms, etc.) Both new and established writers are welcome, though we do have an application process for this intimate session. This five-week workshop will have a maximum of ten participants, accepted on a first come, first serve basis. We will get to know one another and our goals. We will do some generative work, talk a lot about process and some about craft, and create a generous circle of (gentle) feedback. To apply, please send a one or two paragraph letter of introduction describing your work and your intentions via the contact page. We will then contact you requesting a 5 page writing sample. This is an opportunity to offer time, dedication, and the gift of reflection to the writing project of your choice—perhaps something new, or a manuscript you’ve been working on (or dreaming of working on) for years. *If these look different than the dates on the poster they are: we are continuously tweaking these dates to accommodate the needs of all! This fee also includes a 30 minute one-on-one consultation with the instructor. There are two scholarships available—please include a scholarship request with your application. Robin is the author of a collection of short stories, HALF WILD, and the novel HEART SPRING MOUNTAIN. Both have been translated into French and been finalists for the New England Book Award. Robin has taught in MFA programs, undergraduate writing programs, high school writing programs, and led independent writing workshops for many years.